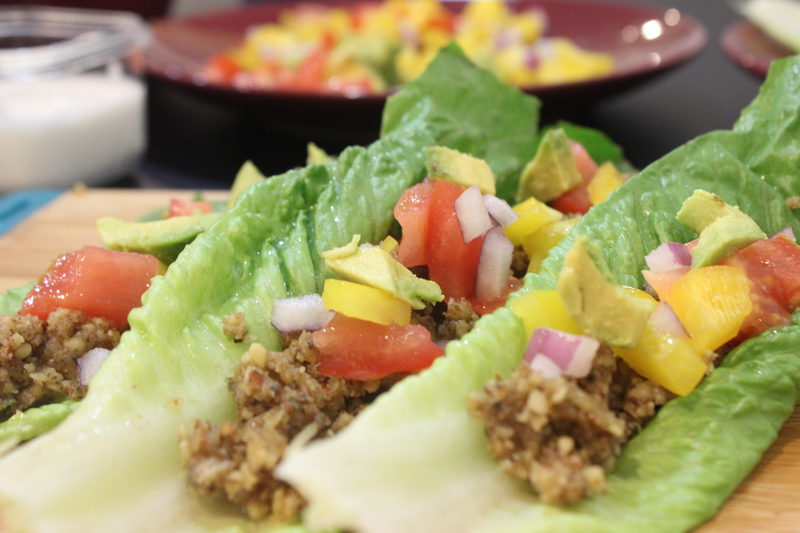 Our Vegan Walnut “Ground Beef” Tacos are a great alternative for those who don’t consume meat or those that would like to try eating more plant based foods. The walnut ground beef is very quick and easy to make and tastes delicious. In addition to no meat there is no dairy used in this recipe. Dairy is one of the most common culprits for causing digestion issues. This is why we like to try to stay away from it. 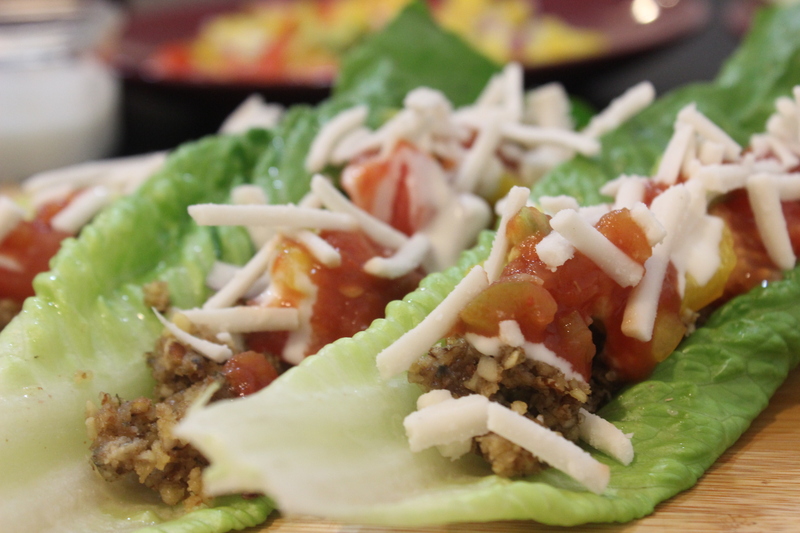 Romaine lettuce leaves are used instead of taco shells because it can be very difficult to find taco shells that don’t have a ton of ingredients. That also makes this gluten free that is a bonus for many who have gluten intolerances. 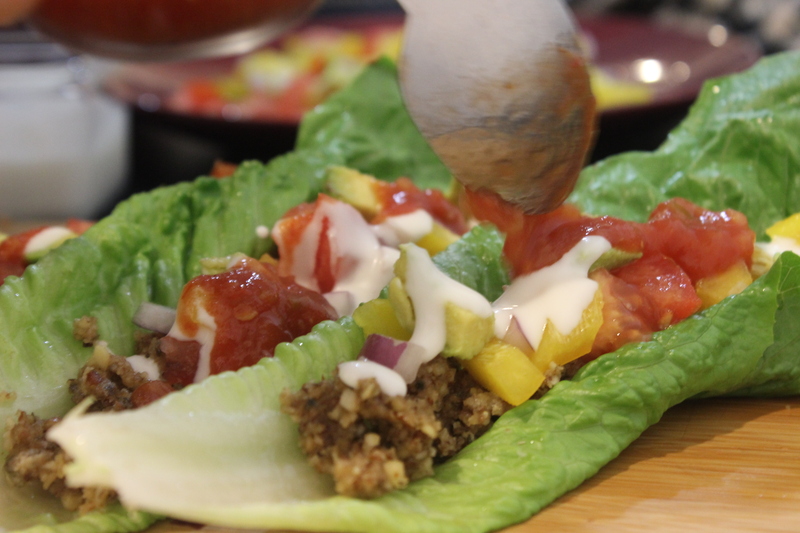 These Vegan Walnut “Ground Beef” Tacos will actually make you feel great and give you energy after you consume them. No more running to the bathroom in discomfort after eating tacos. YAY! There is minimal prep time which means you can have a healthy, delicious meal on the table quickly and easily. Make this your next fast food meal. Tear off 8 lettuce leaves from the head of roamine lettuce. These will be your taco shells. Be sure there are no tears in the leaves and they are a good shape and size to fill with all the taco ingredient. Chop peppers, tomatoes and onions into small chunks. Slice avocado and scoop it out from the peel. In your blender or food processor blend walnuts or almonds until ground but still a bit chunky. You don’t want to blend them into a flour there should still be a few small chunks of nuts remaining. Place coconut oil in pan and heat on medium. Pour your walnut or almond mixture into the pan. Drizzle coconut aminos on almond mixture. Stir continuously until the mixture starts to clump and brown just like conventional ground beef. This doesn’t take very long. 3-5 minutes tops! 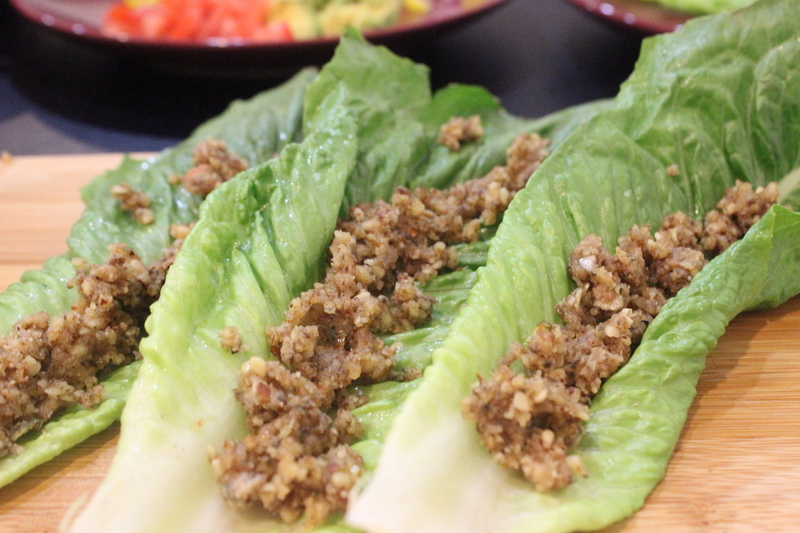 Place the walnut “ground beef” mixture in the middle of your lettuce leaves. Layer the chopped veggies: peppers, tomatoes and onions on top of the walnut ground beef. Add a drizzle of salsa and cashew yogurt on top of your veggies. Sprinkle nut milk cheese on top. 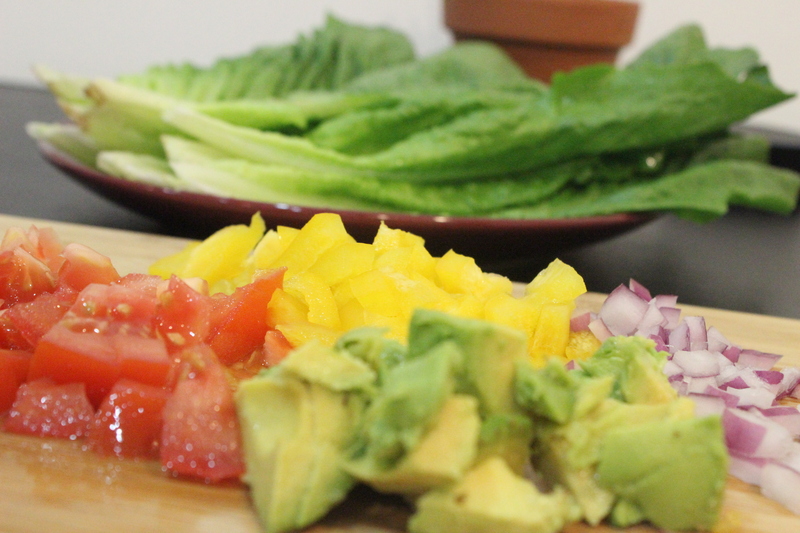 Roll up your lettuce leaf and enjoy! Our True Form motto is the messier the better. Dig in and embrace the mess. 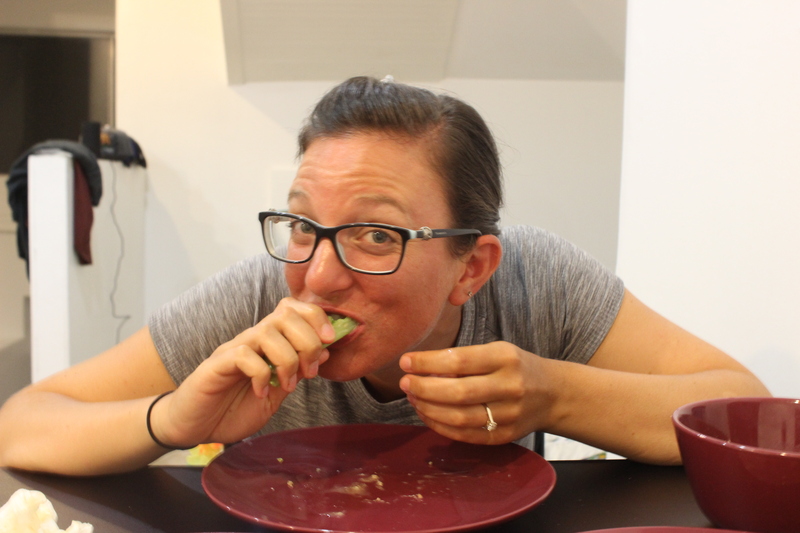 We believe it makes the tacos much more delicious when you let go of the stress of the mess. I couldn’t have been MORE excited to come across this beauty of a product while strolling through Whole Foods. I haven’t been able to have cheese for quite some time because it seems to be one of the culprits for my breakouts and tummy discomfort. 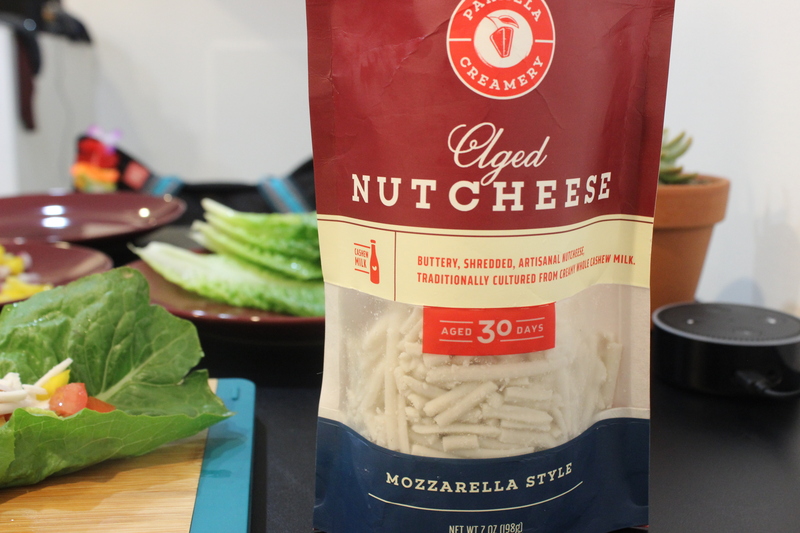 Most plant based cheese alternatives are made with soy which is a no go for me but not this one. It’s made from cultured nut milk. How clever. I LOVE that there aren’t a ton of ingredients and another bonus is they care about the environment. A great non-dairy cheese alternative by far. This is a great alternative to soy sauce. It’s made from aged organic coconut tree sap. They add a small amount of sea salt. That’s it. Two ingredients. Wow!! Don’t worry it does not have a coconut flavour. 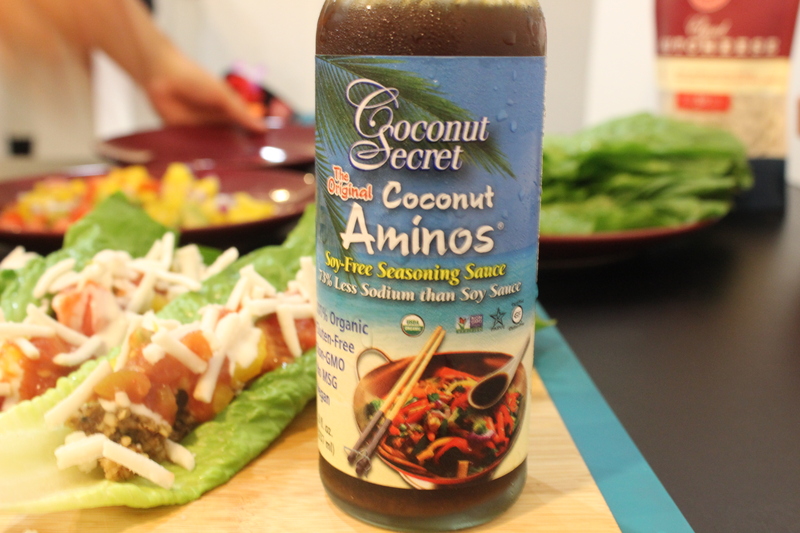 You can use it like conventional soy sauce on stir-fry and sushi but it has a variety of other uses including salads dressings and marinades. It’s organic, gluten free, gmo free and vegan. 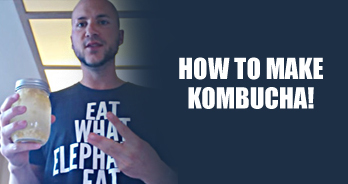 We created this 10 day Vegan Meal Plan with the mind set of simple, well balanced meals. A great guide for beginner or long time vegans to help you easily prepare foods without the use of animal products. For more information about our 10 day vegan meal plan click here.